I think in the short term and the long term, Flash and HTML5 will be viable options for software development. They have things in common, and are quite different in others. As a game developer with 12+ years experience (almost exclusively Flash Platform and supporting technologies), I was able to hit the ground running with my first HTML5 demos. My interest in HTML5 is theoretical, practical, and academic. Theoretical – I am always interested to see how subtleties in each gaming platform suggest specific solutions to game development challenges (graphical display list, 2D vs 3D capabilities, general performance of pushing pixels, mouse/keyboard/gesture input support, game loop (frame loop vs time loop), etc…). Practical – As a working consultant, it helps me assets new projects and meet the needs of my clients, to stay ahead of the trends. 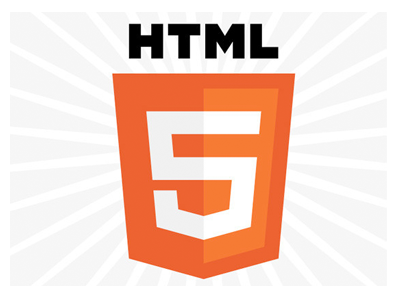 HTML5 is a prominent alternative to the Flash Platform. To offer my clients a competitively thorough assessment of the technologies at hand, its best to learn HTML5. Academic – As an corporate trainer, school instructor and thought-leader, keeping on the cutting-edge is a welcome and rewarding challenge. When I learned Java, it raised the bar for what I wanted in ActionScript. As I learn HTML5, I find myself wishing it could do things that ActionScript can do. Comparing languages and platforms is a though provoking give-and-take. Recently, I sat down to research HTML5, do some demos, and address the pros and cons of using HTML5 for gaming. Great performance – Add graphics, animation, sound, video and maintain good frame rates. It is not as strong as WebGL or native development (iOS for iPhone for example), but it is great. No plugin-required -A potential game player does not have to download any plugin to play your technology. However not all browsers support HTML5, and others support only some of the features. With time more % of the world will have HTML5 enabled browsers. Asset-Integration – Integrating assets (video, audio, animation, etc…) is not straightforward. Browser-dependent – Mobile browsers support HTML5 well. Computers do not yet support it widely. Each browser (theoretically and in-practice) support HTML5 uniquely. So not all features work everywhere. Easily readable source code – HTML5, by default, allows users (or other developers) to easily read your source code. ‘Standards-based’ – HTML5 is a ‘free’, open technology, rather than a technology owned by one company. Overall I see that HTML5 offers a viable alternative to Flash for in-browser gaming. I am actively looking for new clients with HTML5 gaming projects. It seems there is no stand-out HTML5 editing IDE, but found a good, free IDE with Aptana Studio. As a game developer with 12+ years experience (almost exclusively Flash Platform and supporting technologies), I was able to hit the ground running with my first HTML5 demos. The first of which I published as FlyerGame for HTML5 and also see all my other HTML5 posts. I’m new to HTML5, but aren’t’ we all. I’d love to hear your thoughts (good, bad, ugly) posted as comments below. My goal is to learn what I can, without the distractions of politics between Adobe and the world. Will HTML5 Ever Catch Up to Flash on Features? Great comment. JS has object-oriented like features but it is not object-oriented in nature which has a real impact on how its used, misused, and limited. There are huge projects which ‘wrap’ JS to do OOP stuff (See ImpactJS and its underlying system). No IDE — See Construct 2. That is at least one solution. I treasure the content on your internet site. Thanks a bunch!. Thanks a lot! It is an astonishing online site!. Just simply desired to say I am just relieved that i came on your website page!. I value the knowledge on your web sites. thnx!. You’re a really useful website; could not make it without ya! You’re an extremely useful website; could not make it without ya! Merely want to stress I’m glad I stumbled in your webpage!. I enjoy the details on your site. Much thanks!. Greetings! This is my 1st comment here so I just wanted to give a quick shout out and say I genuinely enjoy reading your articles. Can you recommend any other blogs/websites/forums that cover the same subjects? Thanks a ton! blog posts. Any way I’ll be subscribing to your augment and even I achievement you access consistently quickly. I will immediately grab your rss feed as I can’t find your e-mail subscription link or e-newsletter service. Do you’ve any? Kindly let me know so that I could subscribe. Thanks. Hello! This is my 1st comment here so I just wanted to give a quick shout out and tell you I truly enjoy reading your articles. Can you suggest any other blogs/websites/forums that go over the same subjects? Thank you so much! you are speaking about! Bookmarked. Kindly additionally seek advice from my website =). I don’t know whether it’s just me or if perhaps everyone else encountering issues with your blog. share really good content. I shared your laterst aarticle on tumblr and got a lot of positive feedbacks. Hope you puut new content soon. Working on a #Unity3D demo - a browser of architectural models. Nice!